Contrary to popular myth, Britain does have a constitution, one that is uncodified and commanded little political interest for most of the twentieth century. 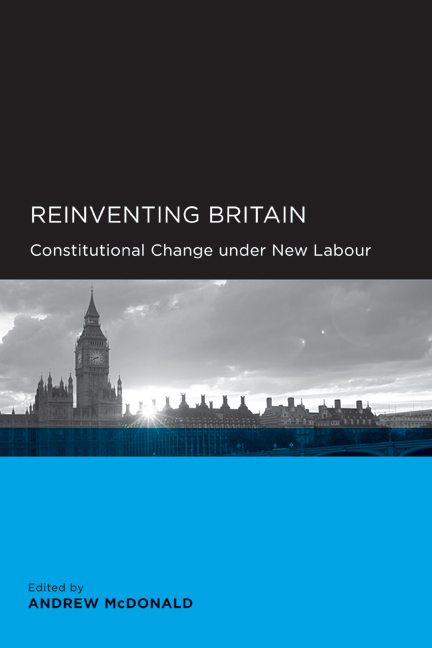 In the late 1990s, Tony Blair's New Labour Government launched a program of reform that was striking in its ambition. Reinventing Britain tells the story of Britain's constitutional reform and weighs its long-term significance, with essays both by officials who worked on the reforms and by other leading commentators and academics from Britain and North America. Andrew McDonald is a UK civil servant. From 2003 to 2005 he ran the government's constitutional reform program. In 2005–6 he was a Fulbright Fellow at the University of California, Berkeley.